Never underestimate the power of a face mask. I, for one, am not really a face mask person. Well, what I really meant was in terms of buying face masks. I don't go buy facial masks. I make my own. I always feel that buying facial masks is a waste of money because I can simply make my own. Thanks to my mum who taught me a lot of ways on making them. Egg white, tomatoes, yogurt, kunyit, milk powder... Semua tu you can get at home. Nak putih? Guna susu tepung. Nak hilangkan sunburn? Guna tomato. Nak kulit tegang? Guna putih telur. BUT. I ain't got time for that anymore darling. So there was this one time, I bought cooling eye patches and asked my husband to help put it on my eyes while I lie down to nurse Sofia. Wow it felt great! It feels great to know that I'm doing something for myself. Being a stay at home working from home mum, I always feel that ALL MY TIME is dedicated to Sofia. Until I have no more energy and no more time left for myself. So I made a point to have at least ONE facial mask on standby at home. Well, Watsons got the BUY ONE FREE ONE, BUY TWO FREE ONE sale... So I ended up buying lots of them. Besides, being a Watson's card holder, I get to collect points too! Buy one free one. This one is about RM6, so each of them will only cost around RM3. 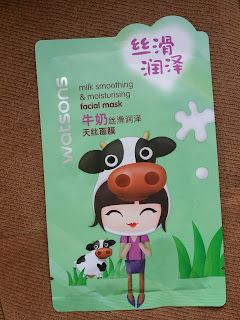 Okay-lah... Watsons milk smoothing and moisturising facial mask. So, I had on that facial mask while Sofia was sleeping. Well, she only slept for a few minutes (but long enough for me to take a selfie). When she woke up and saw me, she was really terrified I had to take it off immediately. Luckily it was already past 15 minutes. This particular face mask is a bit different from the ones I had on before. As you can see in the picture below, the mask is quite translucent. Instead of peeling off one layer before applying to your face, this one you apply to your face first, then only you peel off one layer to reveal this translucent mask. NO NEED TO RINSE. Make sure to read up all the instructions carefully. My bestie said she wasn't aware of not rinsing them off. Wasted a lot of money already. So yeah, do not rinse them off. You should just leave them on (after taking out the mask). I'm not sure if all masks are like that but so far most of them require no rinsing. Um. I still rinse them off after a few minutes, though. My face feels sticky and I don't really like that. After rinsing, it feels so good to get everything off! Hahah... Despite rinsing them off, my skin still feels soft and well, moisturised. 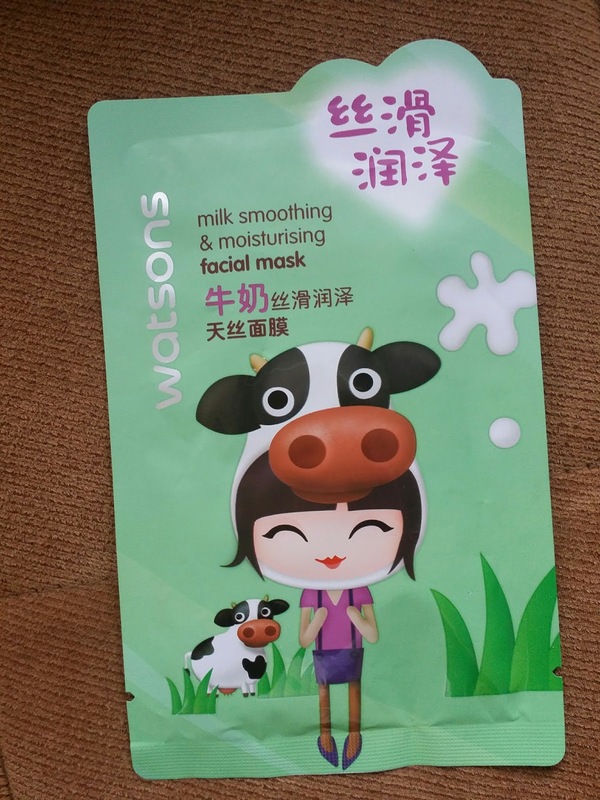 So, will I buy this particular facial mask again? Definitely! I love the translucent mask, and the after effect is well, okay lah since walaupun basuh I still had a soft and well-moisturised skin. Anyhow, Alhamdulillah, I found something to cheer myself up. A simple face mask. Wrote this post on 16th August 2017.
nk try jugak la bash. terinspirasi after bace ur writings.